We want you to sell smarter and faster. That’s why we’re constantly working to improve your experience as a Yesware user. This month, our team has been hard at work, executing updates for Gmail and Outlook customers. Just like Gmail, Office 365 now supports multi-stage Mail Merge! This update allows Outlook users to automate follow-up emails and send out entire drip campaigns, right from their inbox. Done well, drip campaigns help you build trust with potential customers over time. Multi-stage Mail Merge allows users to send out initial personalized emails to up to 200 recipients at once, and then schedule (still personalized) secondary stages to send later, based on recipient engagement (or lack of it). Note: This feature is now available to all users with Office 365 as their email provider. The “add stage” button should appear automatically in your Mail Merge window. If you don’t see it, you may need to log out of Yesware and log back in. View instructions here. 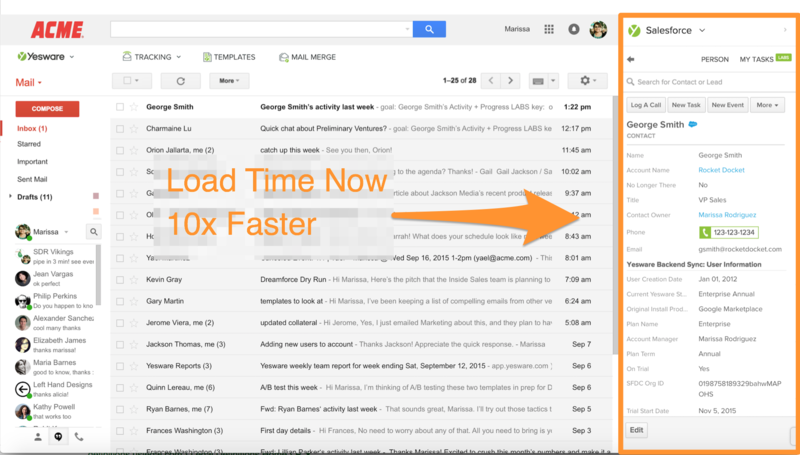 Our Salesforce sidebar also now loads 10x faster on average! Changes in load time vary, but some customers have seen as large as a 100x decrease in load time so far — from 20 to 0.2 seconds. Calling all Sales Ops! 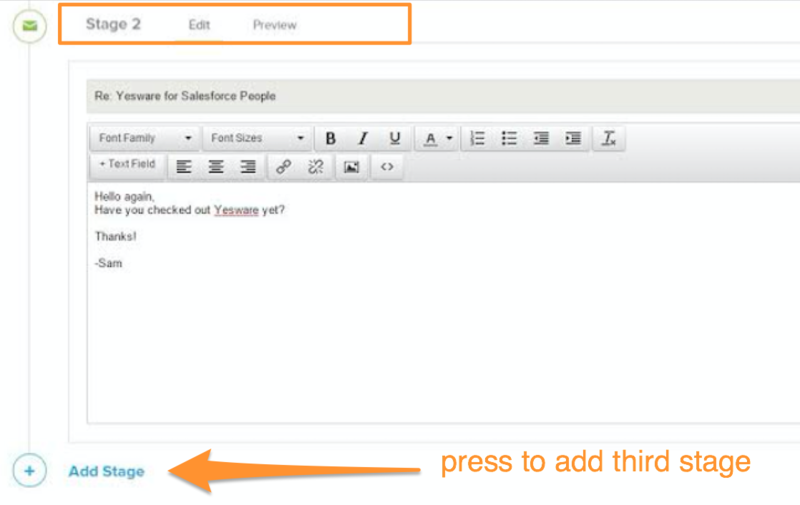 Our Salesforce Sidebar feature just got smarter. 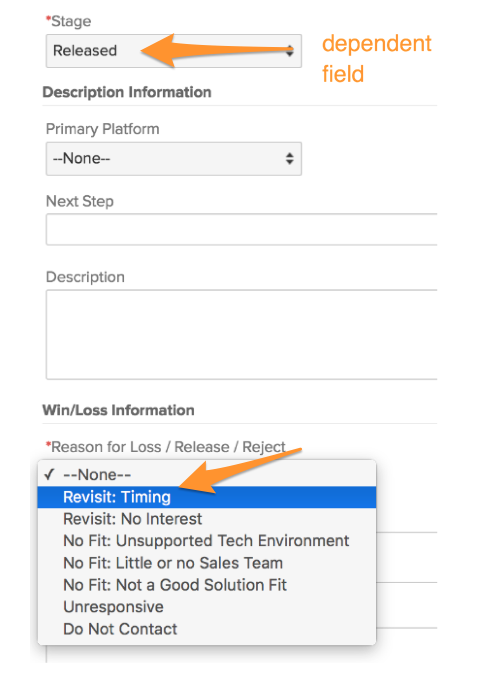 It better reflects the logic in your pick list choices, which makes updating and creating new records from the Yesware Sidebar that much easier. 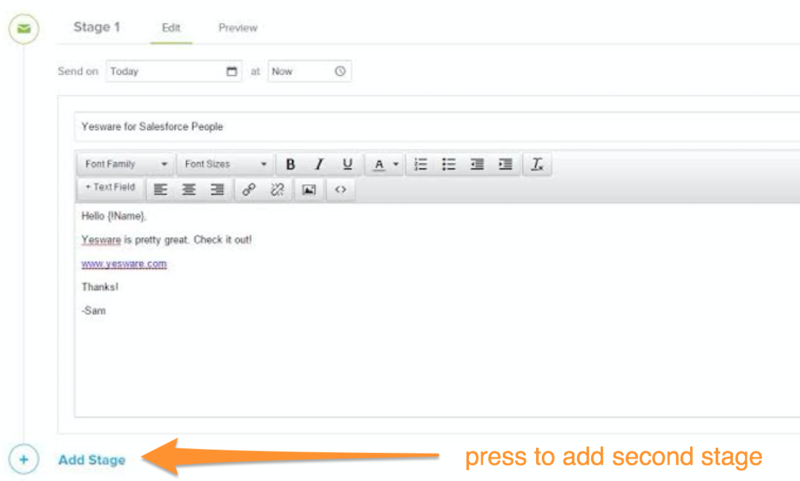 As a result, the Salesforce sidebar will no longer require fields to be populated if a choice is not available. This way, the sidebar supports all picklist choices. That’s not everything! Take a look at our additional product updates from this month. We fixed a bug affecting Outlook 2013 users, in which mail merges were getting stuck in users’ outboxes. Reply checking for Office 365 users is now handled by the cloud. This reduces the load on the Outlook client and allows for a faster inbox experience. We fixed a bug with the Calendar sync search filters; they can now be filtered by Salesforce object type.